Come and enjoy your first time of indoor skydiving! Are you ready for indoor skydiving? Come to Indoor Skydive Roosendaal for an unforgettable experience! Float on the power of the wind and let the adrenaline finds it’s way through your body. 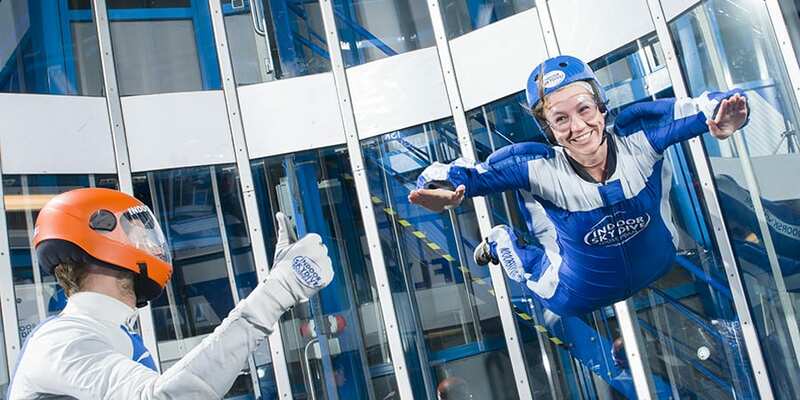 Enjoy the special moment of indoor skydiving in our wind tunnel in Roosendaal! The wind tunnel is centrally located in the Benelux near the Belgian border. In addition, the wind tunnel is just near McArthurGlenn Rosada Designer Outlet and cities like Antwerp, Breda and Rotterdam. So make an unforgettable day out with all the family, a group of friends or colleagues! Let’s fly! Tip: Watch the video of Jochem Myjer below! Selected as our most enthusiastic guest in the past ten years! Yes! You want to skydive indoors. Exciting! But how exactly? It starts with preparation at home. 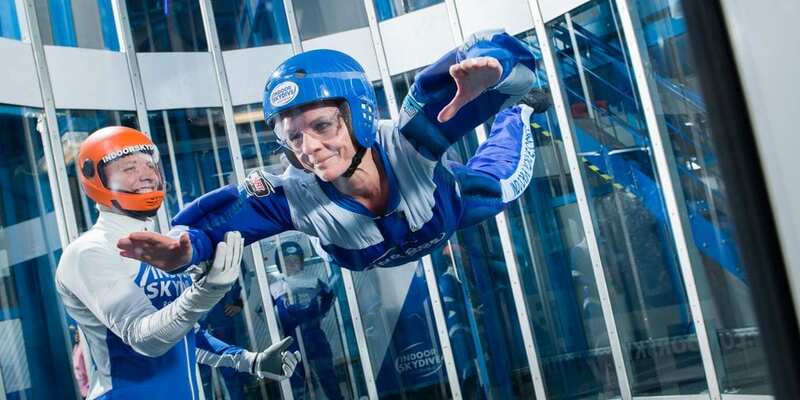 In advance, you’ll see a few cool videos and of course you will read about the indoor skydiving on our blog! That’s how you get into the mood and find out that everyone can really skydive! Once arrived at our wind tunnel this is waiting for you! Reception: Sign up at our reception on the first floor. Get your gear: From your instructor you will get all indoor skydive gear. Instructions: Using an instructional video, you will see exactly how indoor skydiving works. Let’s learn to fly: then it’s over! You’re going to skydive indoors! In the wind tunnel: the adrenaline kick? They are experiencing you now! Let the pro’s fly: are all indoor skydive sessions up? Then let your instructor even show a super cool demo with the fatest tricks! Afterwards you have the opportunity to take a USB stick home. The images of your indoor skydive sessions will of course show you to your friends and family! The adrenaline boost you get from indoor skydiving is unprecedented! Check out what we have for you! 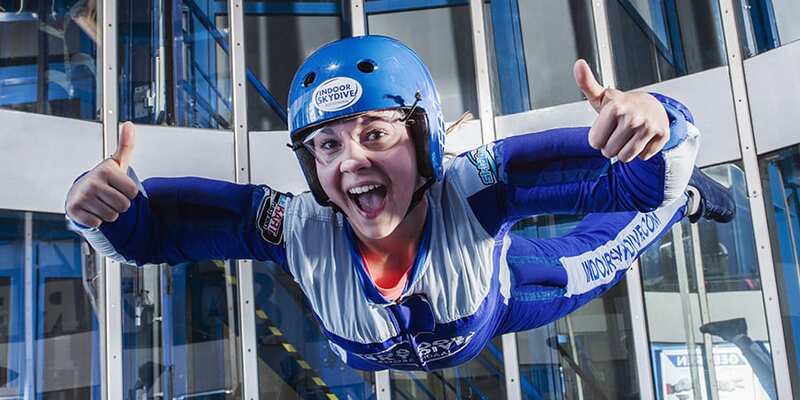 Are you between 4 and 14 years old and do you think indoor skydiving is amazing? Then Kidsfly is probably something for you! Whether it's a bachelor party, a kids party or a family day: Indoor Skydive Roosendaal is the place to be! Indoor skydiving is the most original gift you can imagine! Give someone this unforgettable gift!